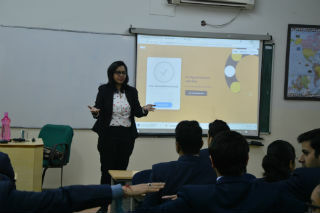 Ms. Srishti Sharma, Unit HR Head, Shopper’s Stop visited our college today for a session on “FOUNDATION FOR CORPORATE EXPERIENCE”. The session started with a Power Rejuvenation activity. 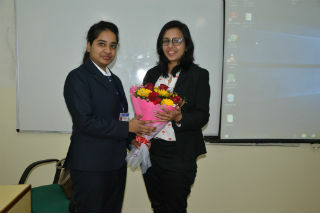 The speaker discussed with us what exactly the Corporate demands from any management graduate. 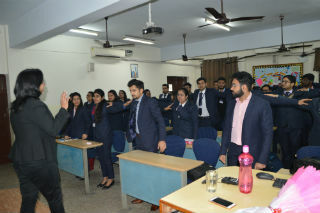 Some of the expectations were highlighted as dedication, hard work, loyalty, integrity, commitment, adaptability, values, sincerity, discipline and creative ability of the candidate while the ultimate expectation be the maximization of profit. The speaker then shared a motivating video clip with us on “I CAN IF I THINK I CAN”. The message was to align oneself with the company’s goal. 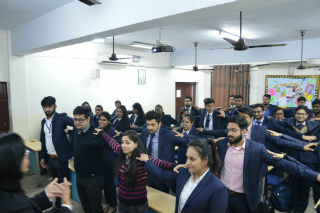 It was a power packed session with full of energy, positivity, knowledge and fun at the same time.